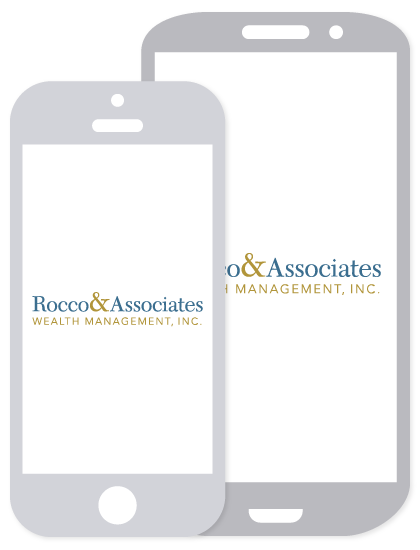 Our Services | Rocco & Associates Wealth Management, Inc.
Financial planning is at the very core of the life planning services we provide to individuals and families seeking to build, preserve, and manage wealth over time. Retirement income planning, education planning, tax and estate planning, and risk management services are components of a larger, more comprehensive financial plan designed to help pursue multiple financial and lifestyle goals. Your plan also provides for your heirs and defines the legacy you choose to leave. Our clients require sophisticated and attentive asset management to help maximize their portfolios’ total returns in light of their risk tolerance. We construct each investment portfolio after a comprehensive analysis of your risk tolerance, investment objectives and time horizon. Nearly all financial decisions have tax ramifications. Tax liabilities associated with income, estate, gift and various state, excise and sales taxes can take a real toll on your wealth. We can coordinate the various aspects of your financial plan to help maximize tax-efficient strategies in line with pursuing your overall financial goals. Risk analysis is an integral part of our ongoing process. We continually identify and analyze all risk factors and make objective and unbiased recommendations to help you build the confidence you seek. Whether you are paying tuition costs now or saving for a future goal, it is important to ensure that your education strategy is compatible with achieving your retirement income and related financial objectives. Tax considerations and retirement income needs must be weighed and evaluated before choosing a specific strategy. It is important to remember that while education expenses can be funded through borrowing, retirement expenses cannot. Check out our college planning checklist! Check out our Family Care Planning checklist! We help you articulate your estate planning goals and work closely with your tax and legal advisors to ensure your financial plan reflects your estate planning needs. Whether you use a trust or another method for accomplishing your long-term estate planning goals, we can assist you in navigating today’s complicated tax and estate laws. Charitable giving can provide tax benefits for you and your heirs. A full assessment of the short- and long-term tax and estate planning implications is conducted to help you address your wealth management objectives. *No strategy assures success or guarantees against loss. There is no guarantee that a diversified portfolio will enhance overall returns or outperform a non-diversified portfolio. Diversification does not eliminate market risk.